On World Water Day, 22 March 2017, WWAP launched the 2017 edition of the World Water Development Report: ‘Wastewater, The Untapped Resource’. The main launch of the UN flagship report on the state of the world’s freshwater resources took place during the pivot event for World Water Day celebrations, co-organized by the Government of South Africa and UN-Water and the four lead agencies of World Water Day 2017 (UNEP, UN-HABITAT, UNU and WHO) in Durban, South Africa. 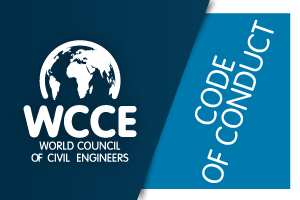 A partnership agreement was signed on March 14th between the World Council of Civil Engineers (WCCE) and UNESCO in order strengthen their collaboration. Their common efforts will focus on the integration of sustainability in engineering curriculum and accreditation of civil engineering education, and on the promotion of engineering in sustainable development. The agreement was signed by Mr Alfonso Alberto González Fernández, President of WCCE, and Ms Blanca Elena Jiménez-Cisneros, Executive Secretary of UNESCO’s International Hydrological Programme, representing Flavia Schlegel, Assistant Director-General for Natural Sciences, UNESCO. The international observance of World Water Day is an initiative that grew out of the 1992 United Nations Conference on Environment and Development (UNCED) in Rio de Janeiro.